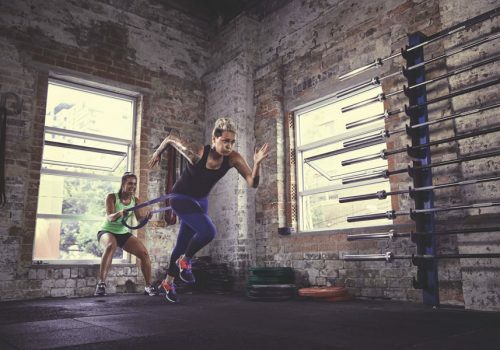 Unit Nine specialise in beautifully-designed unique high-performance training gear. 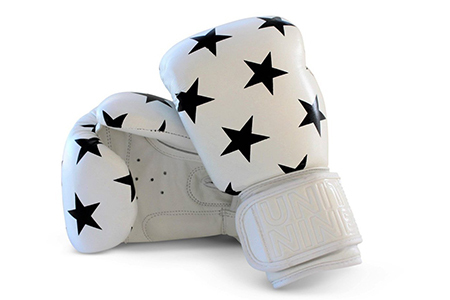 We love these festive star-sprinkled 100% real leather boxing gloves, with velcro wrist wrap for a secure fit. TIP: Buy these a little tighter to start with – as they’re made of real leather, they will soften and mould to your hands with use. Two colour-ways: black stars on white, white stars on black. Also check out their super-cute snakeskin print gloves. 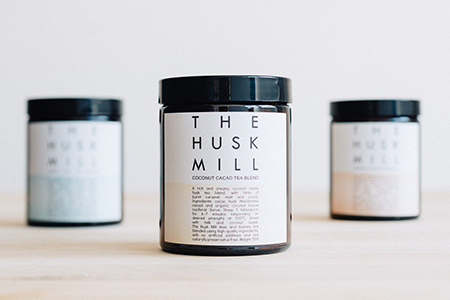 This deliciously-rich full-flavoured chocolate-y tea by The Husk Mill is made from cacao husks which are gently separated from the bean. One sip is like enjoying a piece of good quality dark chocolate whilst being free of caffeine, artificial flavours and preservatives. Full of antioxidants, minerals and vitamins as well as being sustainably-produced, this treat is 100% guilt-free. This cute gift pack includes 3 x 50g jars of their signature blends: choose from Original, Coconut, Rose or Chai flavours. 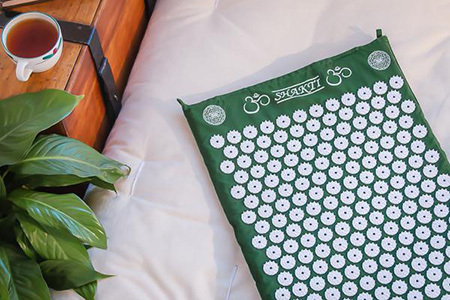 The best-selling Shakti Mat was one of the wellness sensations of 2018 – acupressure mats based on the traditional Indian bed of nails. Lying on thousands of plastic spiked discs applies pressure to skin and muscles with reported health benefits including circulation, relaxation, better sleep, mental clarity and improved well-being. With a 60-day money back guarantee you can’t go wrong! 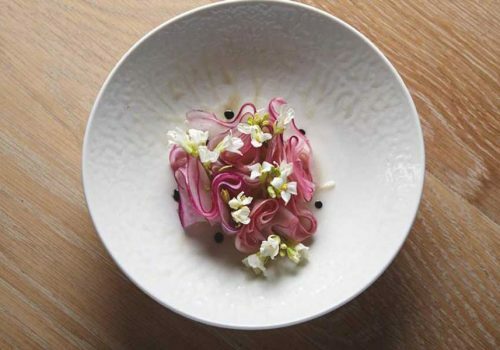 Read more in our review. Sleep is the best medicine: they say a good night’s sleep is the answer to many of life’s problems and ailments. 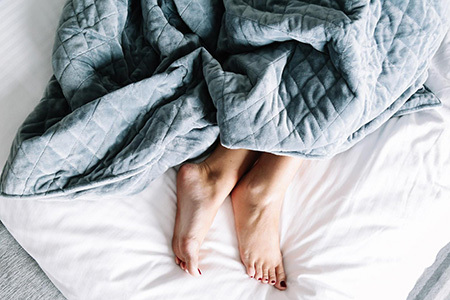 Neptune Blankets claim to be a non-medicated way to improve sleep, reduce anxiety levels and induce sensory calmness. These heavy covers been used for years in the medical community to help people with anxiety and sensory issues such as autism and ADHD. 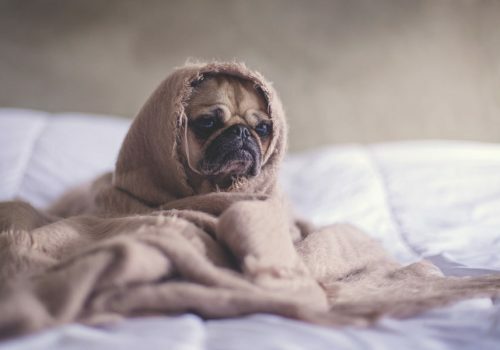 When lying under one of these blankets, the weighted glass beads or pellets inside the quilted lining create evenly-distributed weight giving us that soothing feeling of being hugged or cuddled. 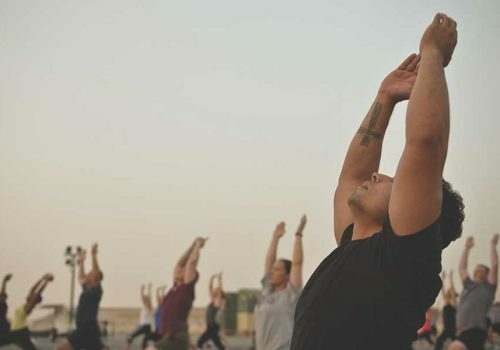 This sensation releases natural “happiness” chemicals which regulate our mood and produce an overall sense of calm. Available in various sizes and styles, it’s recommended you choose one which is approximately 10% of your body weight. 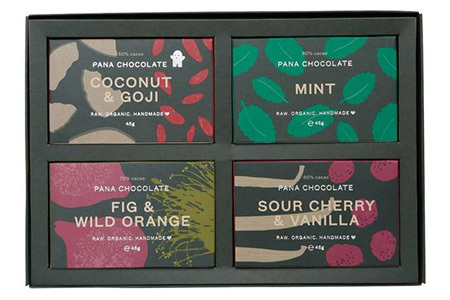 Pana Chocolate has some of the prettiest packaging on the market: their bold prints are like wrapping paper already and all you need do is add a ribbon. 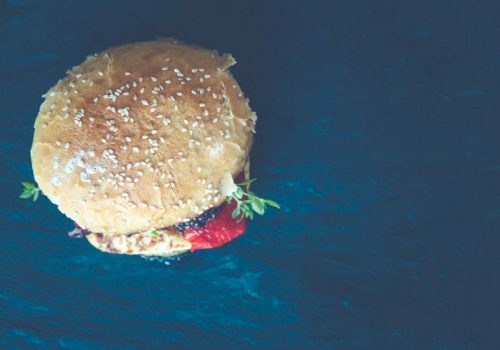 But did you know they’re also renewable and sustainable, made from 100% recycled cardboard, printed using vegetable inks and have edible glue seals? 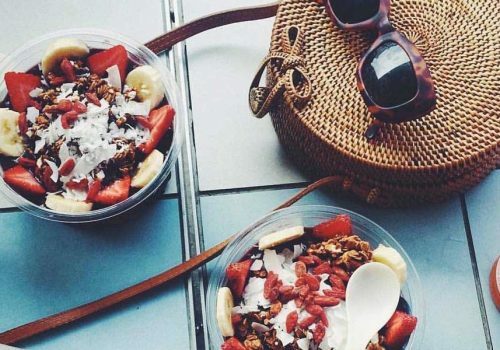 These raw, organic treats are handmade right here in Australia. Free from dairy, gluten and soy and contains no refined sugar, and also vegan, kosher and halal-friendly. Pana’s Christmas gift packs contains 4 x 45g chocolate bars, with a small gift card attached. 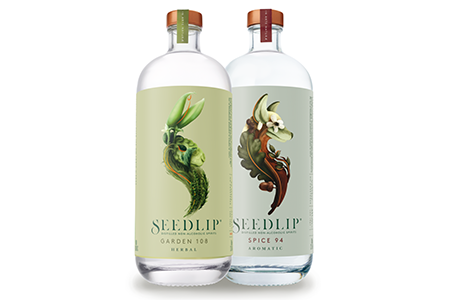 Flavours include Coconut & Goji, Mint, Sixty % and Sour Cherry & Vanilla. Available online, at Myer and all good health food stores. 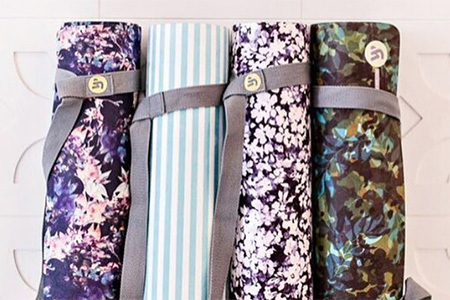 Cos why shouldn’t your mat be as cute as your athleisure wardrobe? Australian-made with beautiful colours, prints and designs, Yellow Willow mats are environmentally-friendly, non-toxic and easy to clean. You can actually throw them in the washing machine every few months so it’s like getting a brand new mat each time. Free from PVC, latex, silicone, toxic glue, phthalates or any other hidden nasties. They are also delivered folded rather than rolled to save on excess packaging. Designed as a mat and towel combination, the microfibre, suede-like fabric top layer is bonded onto 100% natural tree rubber, making them grippier and softer than traditional mats. 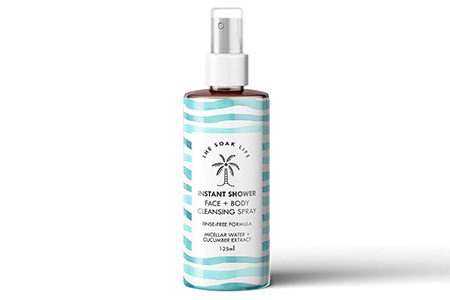 Like a full-body micellar water, this refreshing spray by The Soak Life is an instant shower-in-a-bottle – just in time for summer! Australian-made, 100% natural and cruelty-free with yummy ingredients like cucumber extract and essentials oils, it removes dirt, oil, sweat and other impurities from the skin. Just spray onto the skin, wipe off with a cloth or towel (or let it air dry) and you’re left cleansed, refreshed, soothed and hydrated (but never sticky). 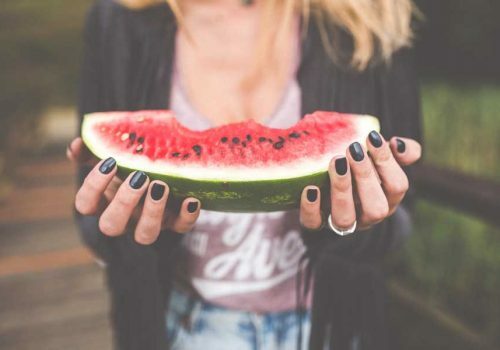 With no need to rinse-off, it’s perfect for after a workout (it eliminates underarm body odour), a day at the beach, before after-work drinks, while travelling, camping, at festivals or any time you need a shower but one isn’t handy. Game changer. 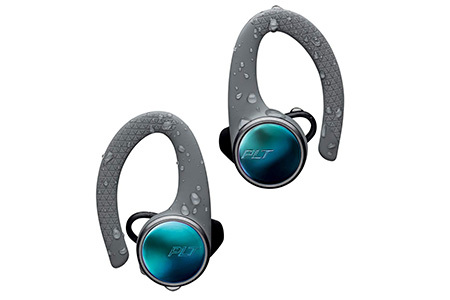 Engineered to withstand water, rain and sweat, these little Plantronics wireless airbuds are built to endure your most intense workouts. With comfy securely-fitting eartips and soft flexible behind-the-ear loops, the feature we love the most is the Always Aware™ technology which allows you to always hear your surroundings for safer training in any environment. Use the on-ear controls or sync with the app on your phone. Go hard with up to 5 hours of wireless power and up to 10 additional hours with the included charge case. No excuses for cutting your workout short now! Damn. Right up there with the Slip ’N’ Slide in the backyard, SodaStreams are the stuff of nostalgic childhood summer dreams. Well they’ve had a chic grown-up makeover: meet the new-look sleek compact SodaStream Limited Edition Spirit Sparkling Water Maker. 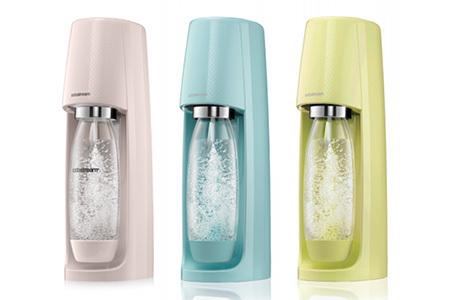 Available in 3 dreamy retro pastel shades of blush pink, icy blue and sweet lime, these streamlined countertop machines turn regular water into sparkling fizzy water in seconds. Eco- and budget- friendly, if you love drinking sparkling water just say no to single-use plastic bottles and make your own at home. 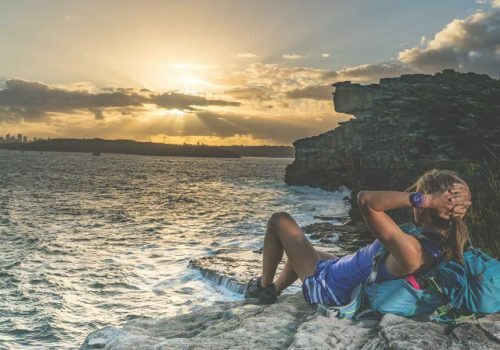 Comes with a safe reusable BPA-free plastic carbonating bottle, which can save the average Australian family up to 2,190 bottles and cans over the three-year lifespan of the bottle itself. 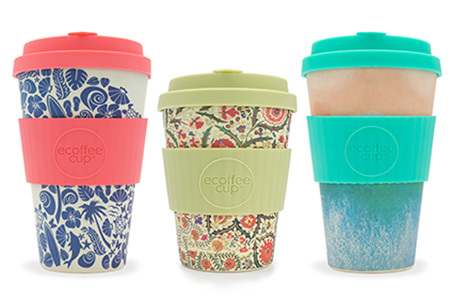 We do love a practical eco-friendly present and this is one you’ll use daily. 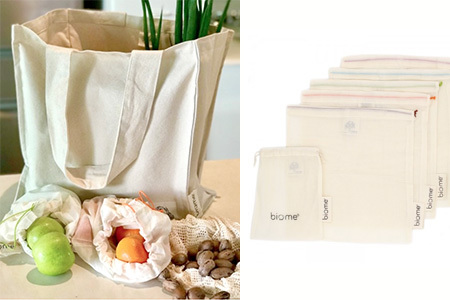 BYO your own set of Biome certified organic cotton reusable bags to the supermarket and then glare at everybody still using plastic (heathens!). This awesome 16-piece set will last for years and includes various sizes of durable tote bags, string bags, mesh & fabric bags and lightweight produce bags to do your weekly shop of groceries, bulk food, and loose fruit & veg. BONUS: the large sturdy tote bags have handles long enough to wear over your shoulder #winning.